Thank you for visiting the Park Sleep Fly PVD Airport hotel section of our website. 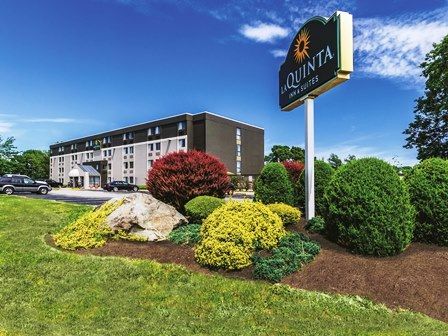 You’ll find amazing rates on close hotels near the Providence Airport when you browse park, sleep and fly packages on our website. With AirportParkingReservations.com you’ll avoid the headache of having to get to TF Green Airport on time by simply parking, staying and flying! Our partners offer relaxing accommodations, shuttle transportation and free parking. Free parking is for both short stays and up to 14 days for long term parking. When you choose on-airport parking lots, you’re choosing a headache. These lots get busy fast and are more expensive than their off-airport alternatives. When you want to avoid that stress, reserve a parking space when you have an outbound flight with AirportParkingReservations.com. We offer the ability to make a reservation right from our website and you will see rates and availability for parking lots all over the country and at Providence TF Green. Every parking lot location offers free shuttles back and forth from the lot. We 100% guarantee every parking reservation that we make. One mile off of Interstate 95 and with access via the MBTA commuter train, T.F. Green (PVD) airport serves a number of areas in New England, including Providence, Rhode Island as well as Boston and Cape Cod in Massachusetts. Easy access and low-cost parking and airfares are what drive passengers to this smaller, yet efficient and modern, airport. Eight airlines service PVD, including local carriers Cape Air and Condor. National chains like Starbucks and local favorites like Dunkin Donuts are available to fuel up prior to boarding one's flight.